/ Which Organic Face Oils Are the Best? Is your current facial oil just not cutting it anymore? Feel like switching your product out for something that’s more natural, and organic? When looking for a new organic face oil, there are a lots of options to choose from. But with so many, it’s difficult to know which one to try. There are many factors involved, for example, organic face oils vary widely in price. But lets not forget, some face oils are better for certain types of skin than others. More importantly, organic face oils might include ingredients that are known to cause allergic reactions in some people, and we certainly don’t want that! 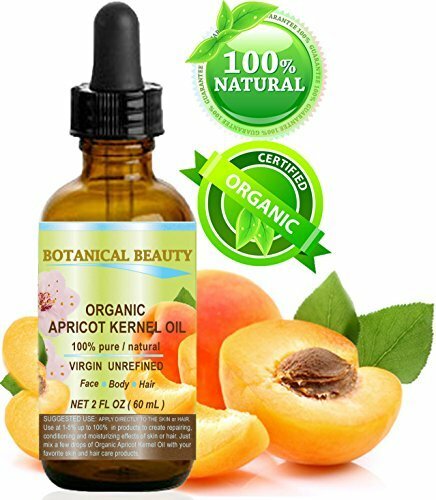 So, in order to help make your job of finding a great organic face oil a bit easier, the below review goes over the pros, cons, and features of three of the most popular organic face oils. After you’ve had a look through this article, you should have a better sense as to whether one of these organic face oils will meet your needs. Be open minded, you might find your new go to beauty product! Organic Essential Oils by Amaki combines the best of eight different organic oils to help keep your nails, skin, and hair looking fantastic. The eight different oils that are used include: rosehip, jasmine, argon, jojoba, almond, rose geranium, evening primrose, and bergamot. Each of these oils has its own unique skin benefits, such as aiding in relaxation, strengthening nails, or decreasing the appearance of lines and scars. This product weighs only 7 ounces and its dimensions are 6 x 2 x 3 inches. 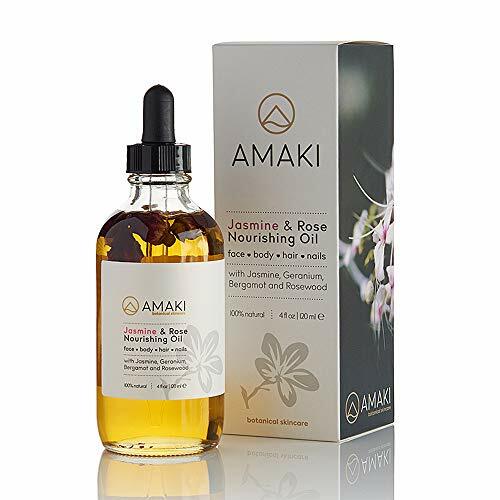 Organic Essential Oils by Amaki is one of the best organic face oils for a number of reasons. First, it can be used on many parts of your body, including your nails, face, hair, and patches of skin. It is made from only organic ingredients that are found in nature. Thus, there are no bad chemicals that could irritate your body. This product tends to be absorbed by your skin quickly, so you are not left feeling greasy. If can be used for any type of skin. The oils in this product will help to make your skin much more soft and smooth that it is currently, regardless of how dry it is right now. It can also help stop itching. Additionally, the packaging of this product makes it seem like you are giving yourself a gift each time you open it (there are rosebuds located in the bottle). There have been some issues reported with this product. First, the oil may cause your skin to break out. Additionally, like many facial oils, it may not absorb into the skin as quickly as you would like. Lastly, the smell can be very overpowering given that some of the oils used to make the product are flower-based. This product weighs only 3 ounces when shipped and comes in a 10 ml bottle. One feature that you may like is that it comes with a dropper to help you avoid spills. Additionally, each application can be carefully measured so that you are not using extra oil, which saves you from spending money by needing to replace the product more frequently. This product comes from New Zealand, which has manuka that is more powerful than manuka found in other locations. Additionally, if you do not like the product you are able to return it and get a refund. If you are someone that has skin sensitivities, this product may be the one you want! This is because manuka tends to work well for people with skin irritations and will not exacerbate existing problems. Additionally, this product can help with a number of issues. For example, it can help stop fungus from growing. It might be able to make your winter cold sores feel a bit better. It can also help stop itching. There are several issues that have been reported with this product. First, you may find that it does not help with all the problems it claims to help with. For example, it might not help you clear up existing fungal infections. Like many oils, it can be a bit smelly. Additionally, it comes in a small bottle which means you will need to replace it more quickly. This product is not tested on animals and it does not contain any parabens. It is made with only natural and organic ingredients. When you purchase this product, it comes in a 2 fl. oz bottle. Your purchase also includes a dropper so that you can easily apply the product to small areas of your body without making a mess. A little bit of the oil goes a long way, so you only need a couple drops for your hair or skin. This product helps you improve the elasticity of your skin. It can be used no matter why type of skin you have. You might wish to add this to a bath, use it at night, or apply it after showering. As long as you are applying it externally, it can be used to help any area of your skin or body feel a bit better. If you have cellulite or stretch marks, this product can help reduce those! It can even help fix chapped lips, making it ideal for use in the winter months. Lastly, there are no extra fragrances added, so if you have sensitivity to certain scents, this one might work for you. Unlike other oils, this one does not remove circles under the eyes very well. Additionally, like many other facial oils, this one may have an unpleasant aroma. All three of the products reviewed above are some of the best organic facial oils available for purchase. Many of them share the same cons, such as not being absorbed quickly into the skin and having an unpleasant or strong smell. However, all of them are made from natural and organic ingredients, so you know you will not be hurting your body by using harsh or abrasive chemicals. If you are still contemplating whether you want to try one of these products, those with warranties will allow you to receive a full refund if you do not love the oil.